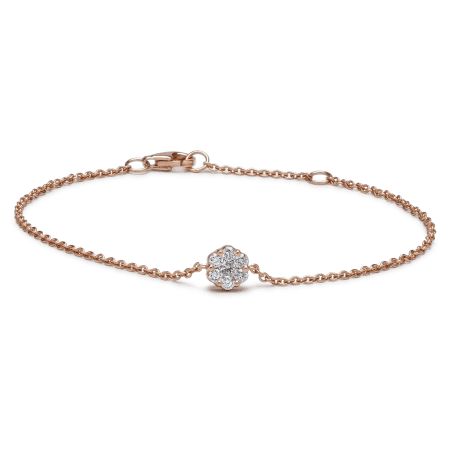 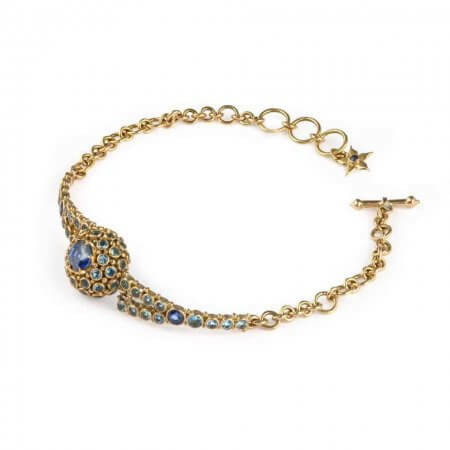 Of course, PureJewels has specialised in bracelets, particularly Indian bracelets, for 40 years, and our buyers know exactly which alleys and studios to visit when they’re choosing a new collection. 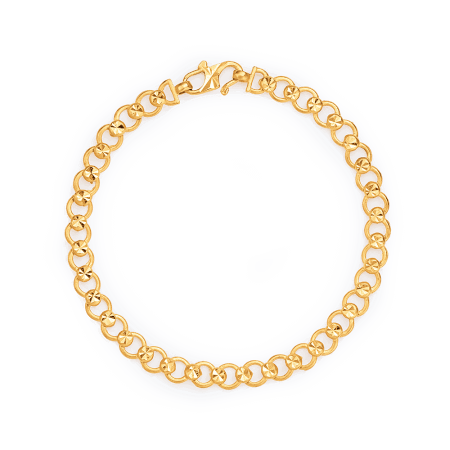 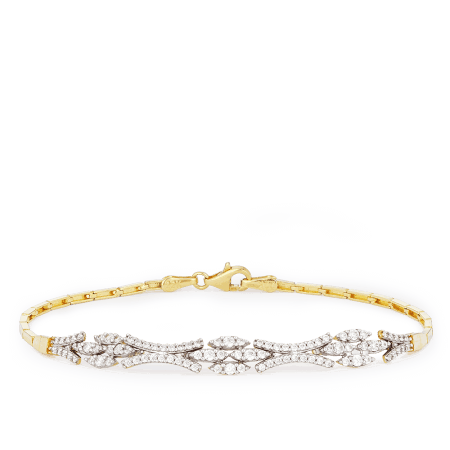 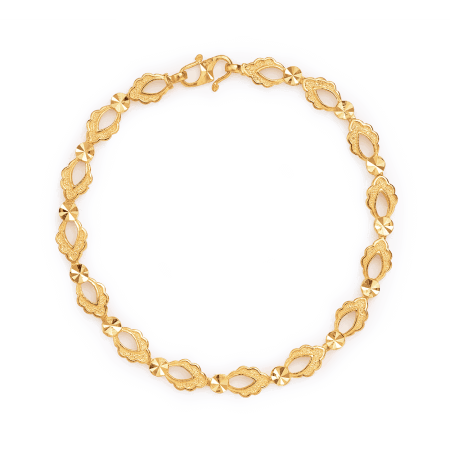 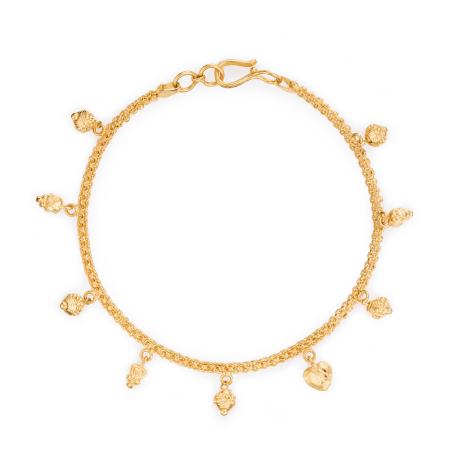 Our in-house designer has been filling her sketchbook and many of the 22ct gold bracelets here are unique to PureJewels. 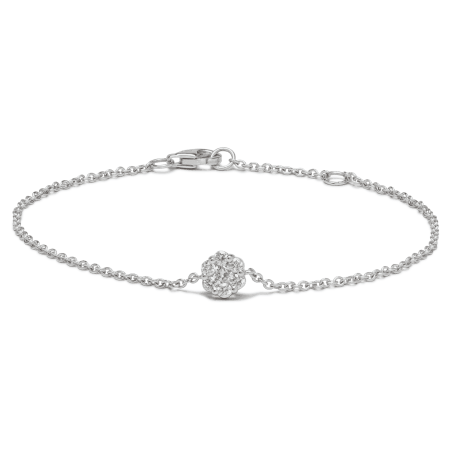 Browse our exquisite range of ladies’ bracelets and see how long you can resist. 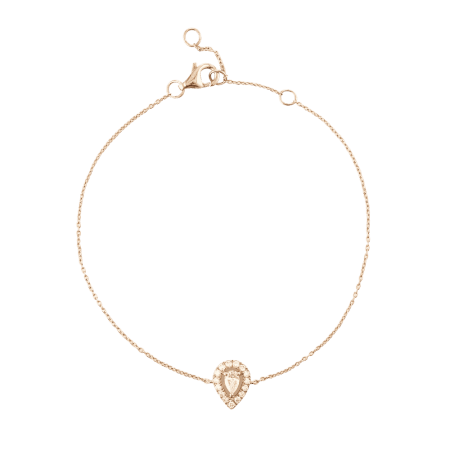 Will you choose a luxurious row of rose-gold-framed diamonds, a pretty chain of 22ct gold hearts, or a peacock sculpted in white gold? 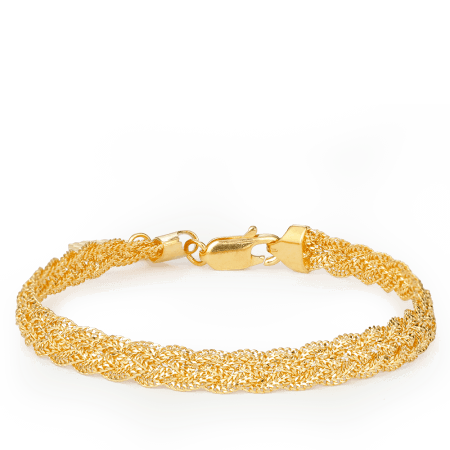 From the simplest bangles to traditional black beads, our collection of ladies’ bracelets has something that will look beautiful on your wrist. 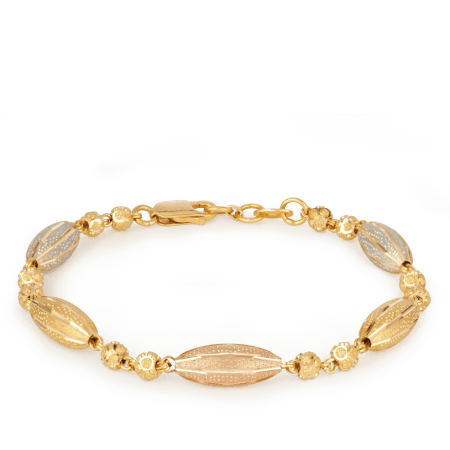 PureJewels is a family firm with an Indian heritage. 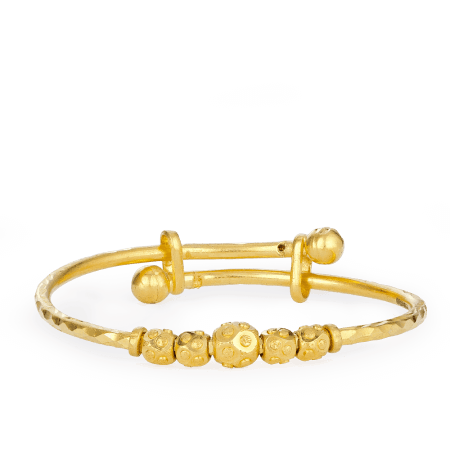 We specialise in 22ct gold and our in-house design team creates modern interpretations of traditional Indian jewellery. 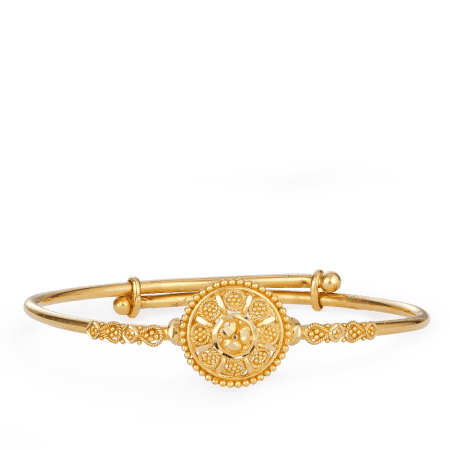 Seasonal collections feature cultural motifs or stories, rendered with the finest craftsmanship, for modern Indian women. 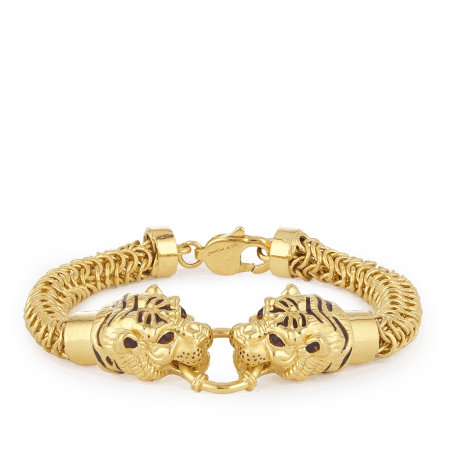 Our own collections of 22ct Indian bracelets are made in the UK. 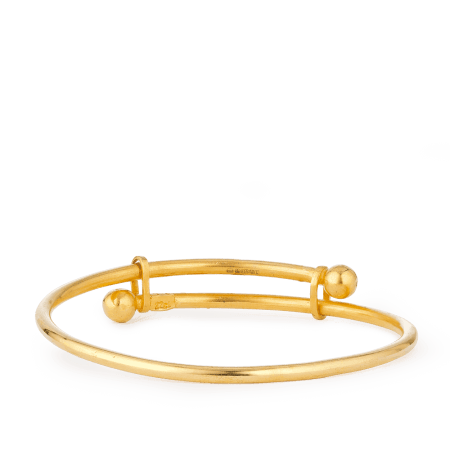 Just one slender bangle, a bundle of bling, or a sensational statement bracelet? 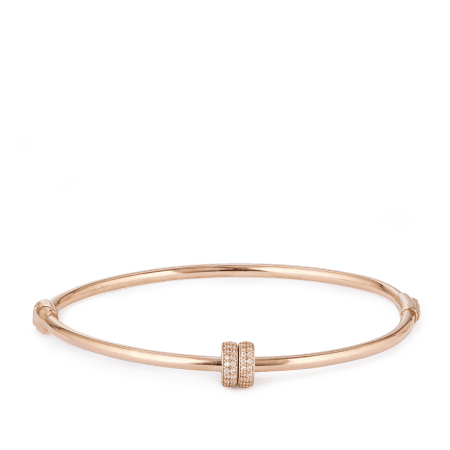 How do you style your wrist? 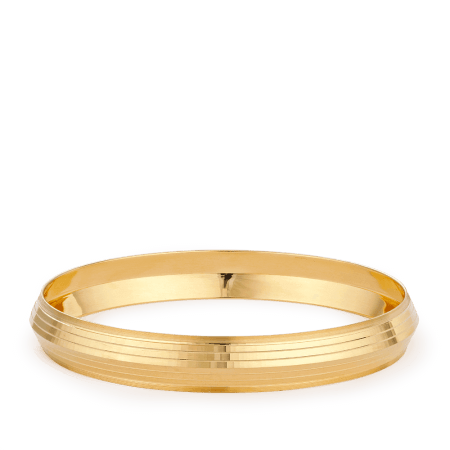 We have plenty of classic Indian bangles, which are beautiful in a generous stack, for special occasions and Indian weddings. 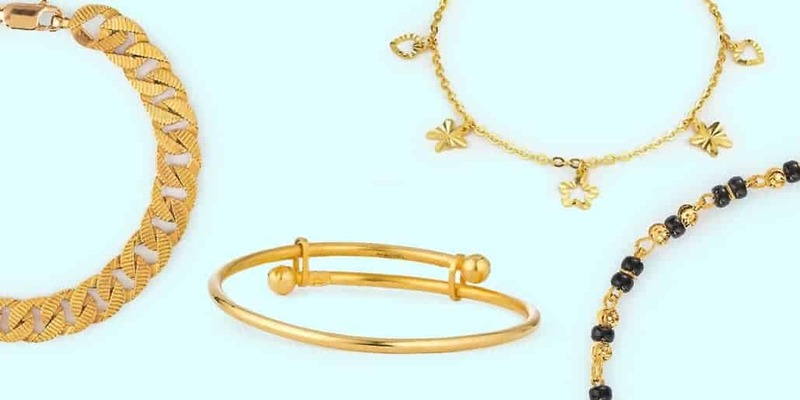 If you’re the type to tone down your outfit in favour of a sparkling statement in gold, then you’ll love some of our contemporary collections: Sparkle (with a rhodium plating that looks like diamonds), Diya (loaded with uncut Polki diamonds), and Vinyasa (our beloved peacock set). 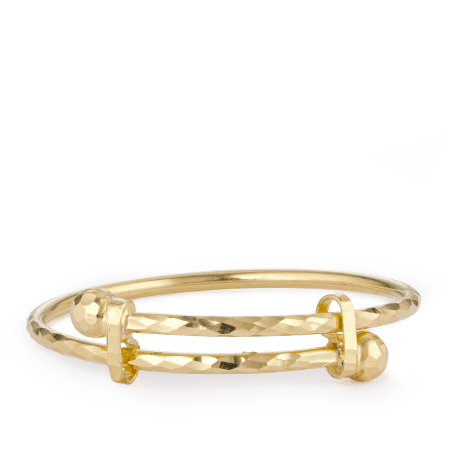 Buying the right piece of jewellery can be difficult! 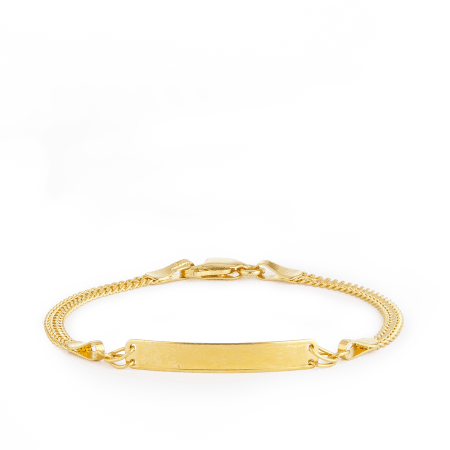 If you’re looking for well-judged advice on choosing a bracelet for your loved one, contact us using Live Chat. 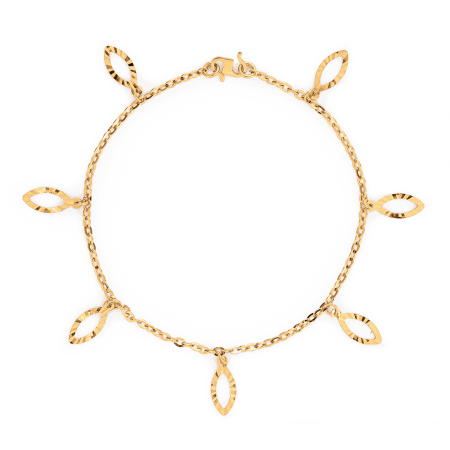 It is a wonderful way to receive the kind of personal guidance that you would obtain in-store, but it’s easy to access from anywhere in the world. 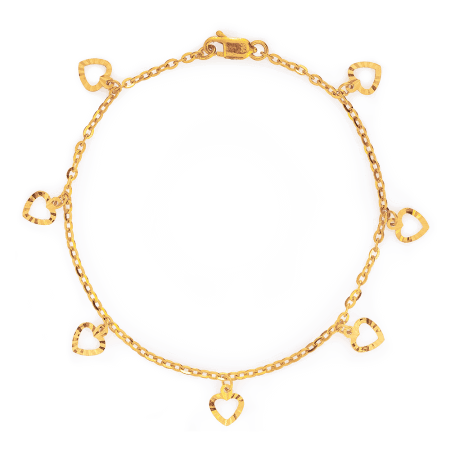 (You can, of course, telephone us if you’d prefer to.) During the winter months, our extended returns period gives you peace of mind… just in case you choose the wrong one. 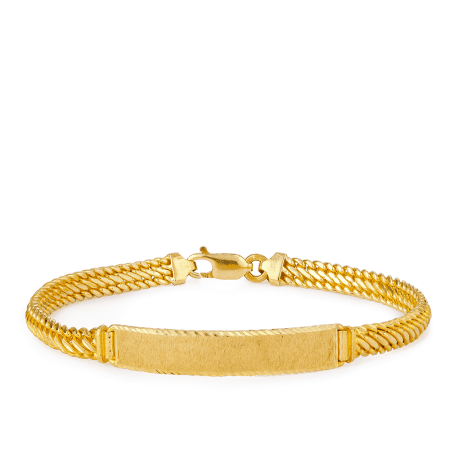 Are you searching for a luxurious gift for the man in your life? 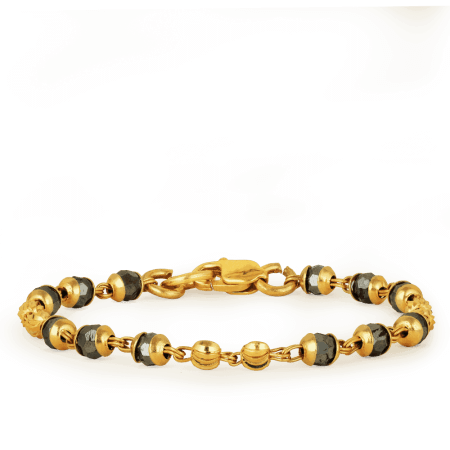 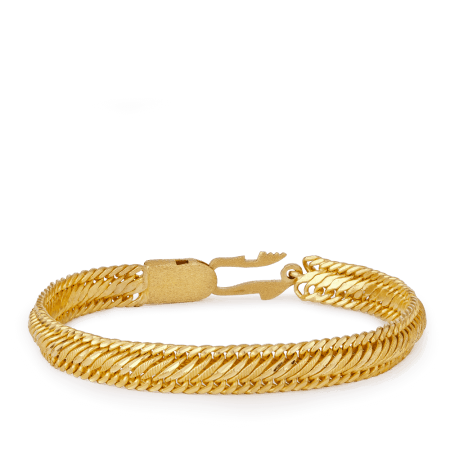 Our 22ct gold men’s bracelets are designed to wow. 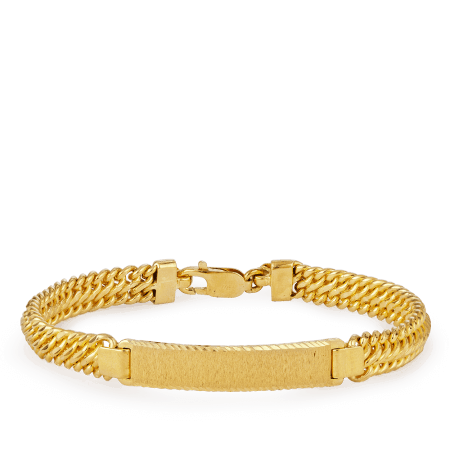 In a variety of masculine link styles and weights, our men’s bracelets are popular for special occasions. 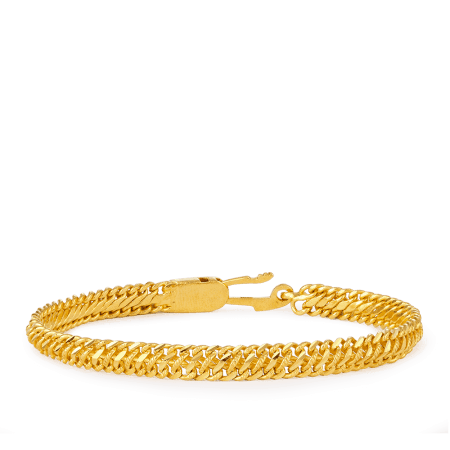 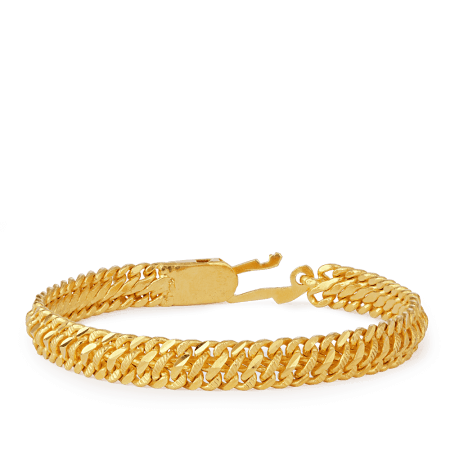 You will note the gold weight and price is given for each bracelet. 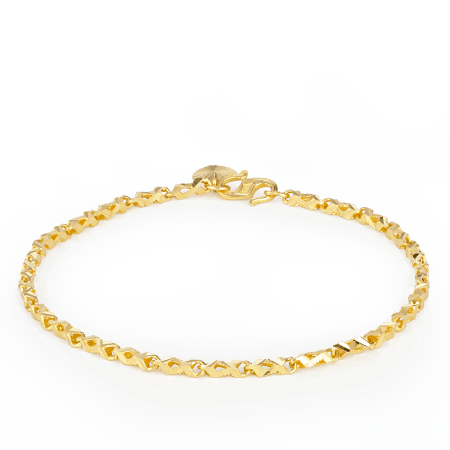 If you’re looking for something different then please open Live Chat. 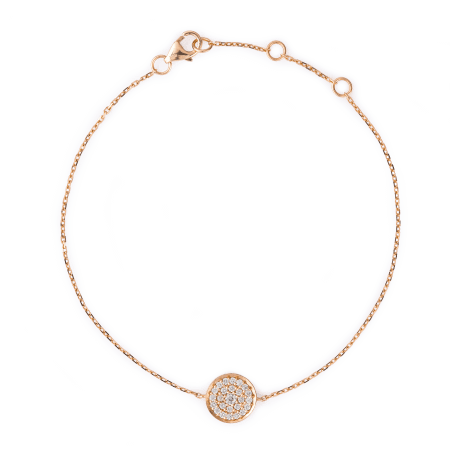 It’s the best way to find out about latest stock levels and the newest arrivals. 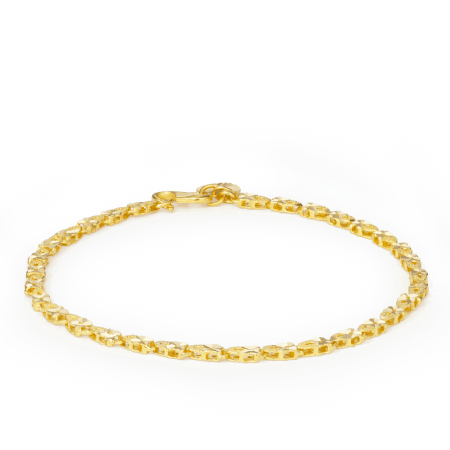 We specialise in 22ct gold – the most prestigious and valuable form of gold that can be used in jewellery. 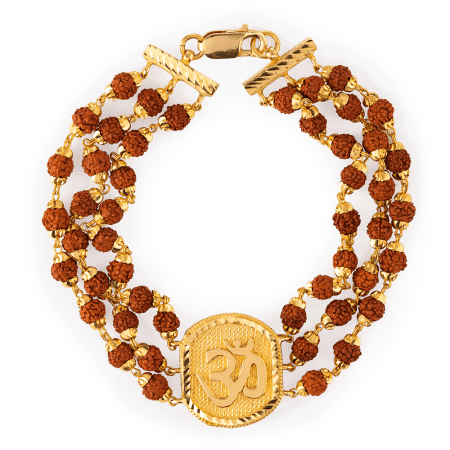 You will find some traditional bracelets here, including men’s Kada (traditional Sikh warrior bracelets) and Rudraksha (Hindi bracelets). 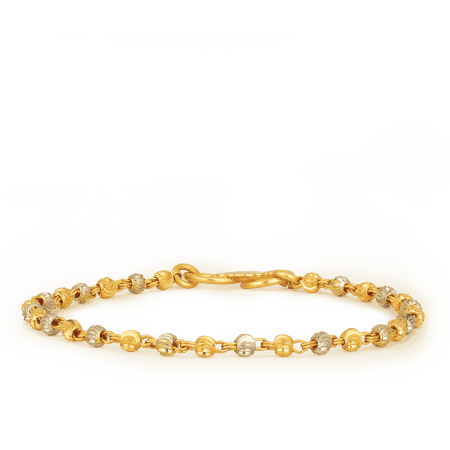 PureJewels is an Indian family firm with a diverse customer base and we love working on special orders. 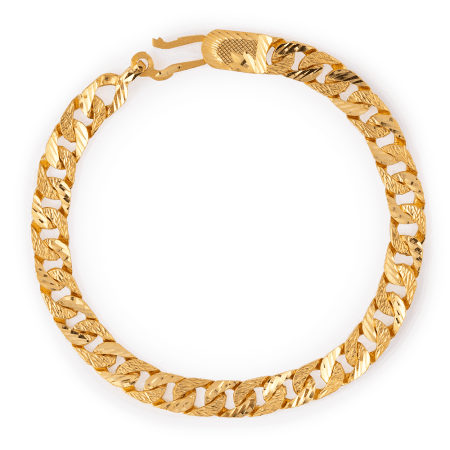 If you’re looking for something particular, perhaps as a unique retirement gift, then please contact our design team. 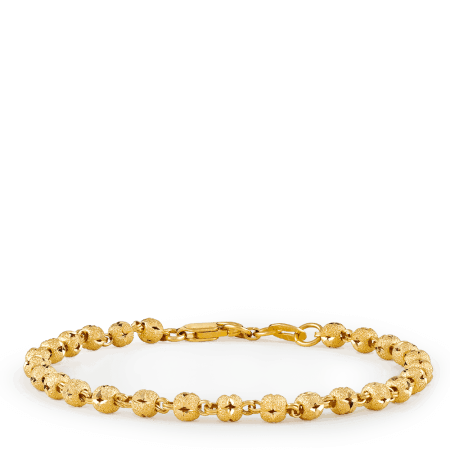 Choose from our range of 22ct gold men’s bracelets, and your order will be delivered in a signature PureJewels gift box – ready for giving. 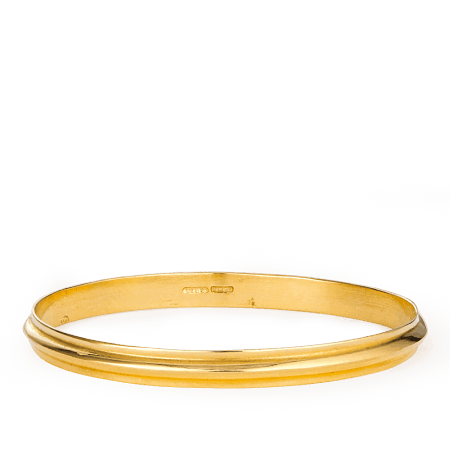 Update your look with a gold bangle of meaningful significance. 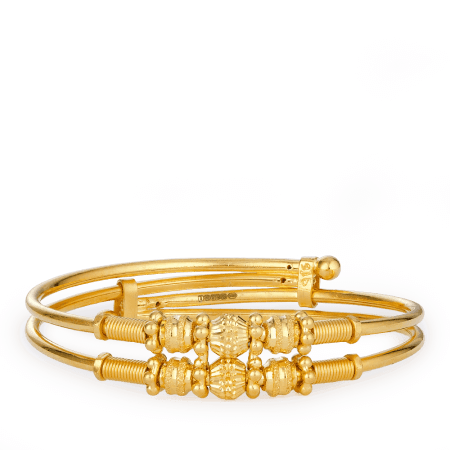 Gold kada are seeing a revival; and, made in 22ct gold, ours are a respectful tribute to the ancient Kada tradition. 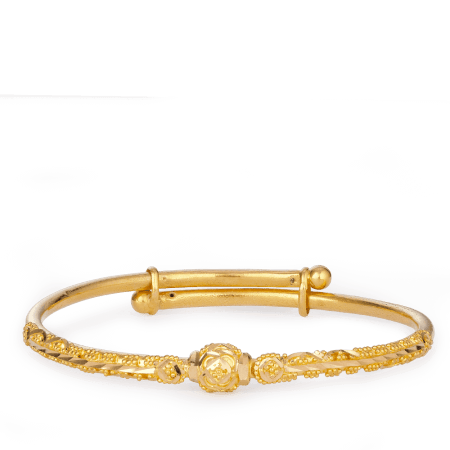 Discover our range and buy gold kada online at PureJewels. 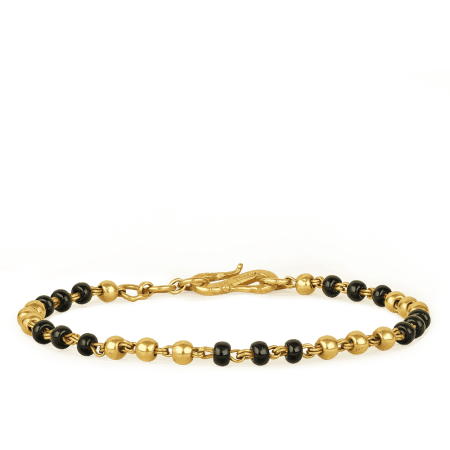 Why do men wear Kada? 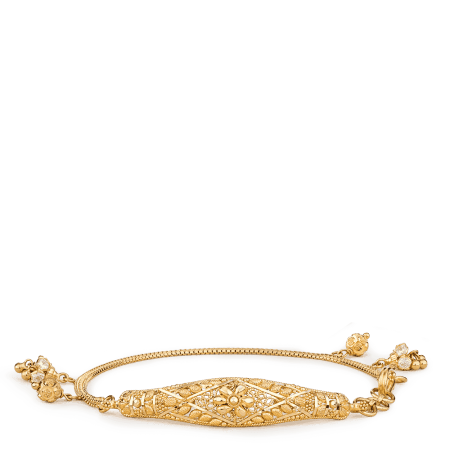 Traditionally designed as a reminder of the importance of serving God (and worn on the dominant hand), men’s kada have been worn for centuries. 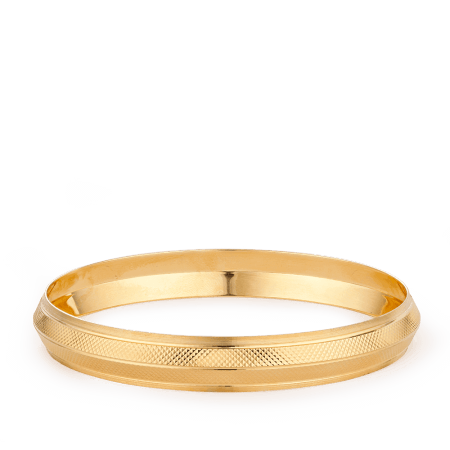 The classic kada is forged in steel. 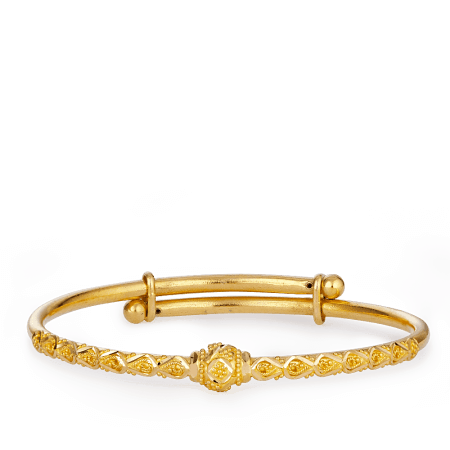 For contemporary tastes, we now offer modern, 22ct gold kada online. 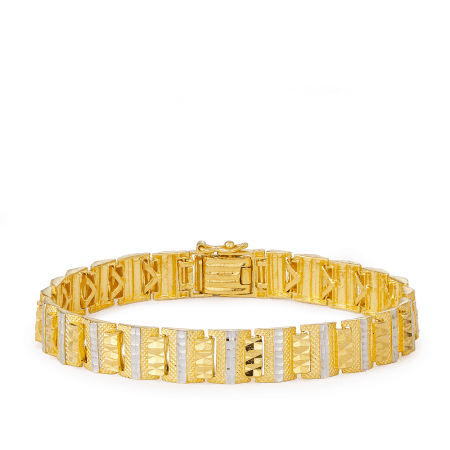 If you don’t want to buy gold kada online – and still prefer the old-fashioned experience – then come and view the collection in our spacious showroom on Green Street. 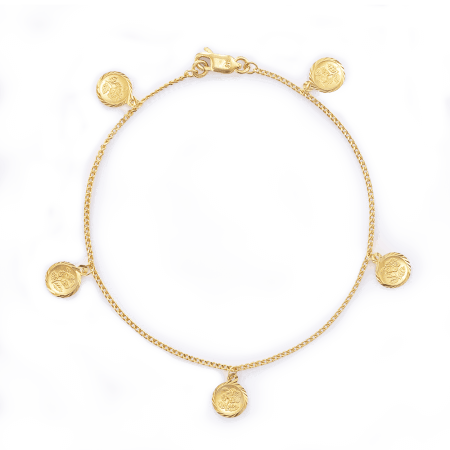 What is the history of Kada? 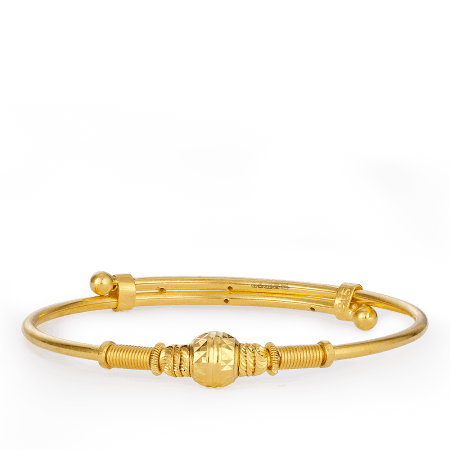 According to the history books, kada were once worn by warriors during battle – on their arms or wrists, as a weapon or shield in combat. 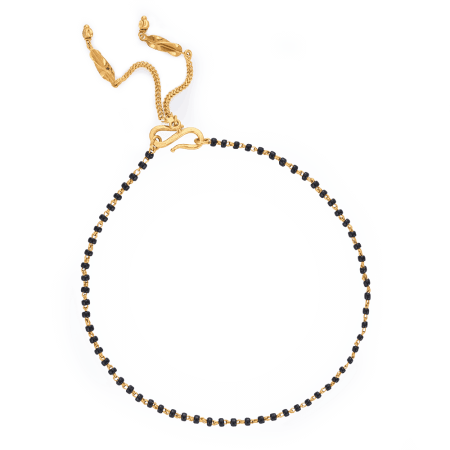 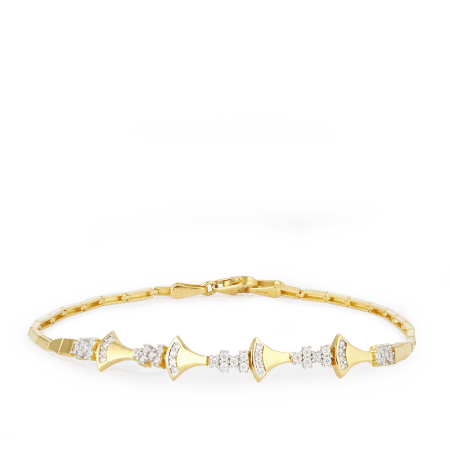 There is even evidence of kada with spikes, which would have been used to help defeat enemies. 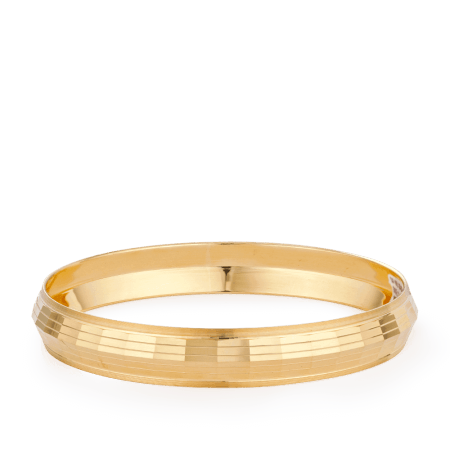 The tradition evolved and nowadays, the kada is like a wedding ring; a reminder of your commitment to God, worn daily. 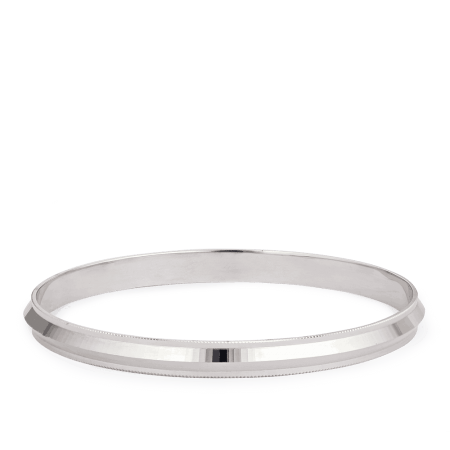 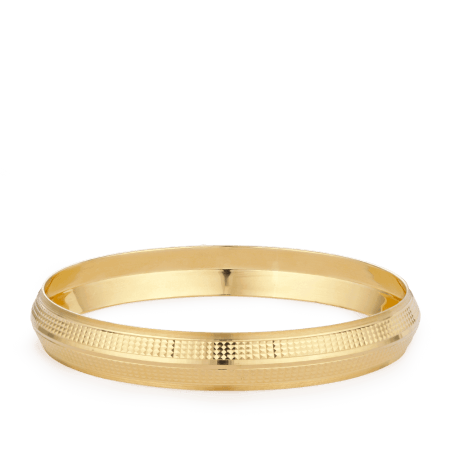 With no clasp or fastening, a kada forms a smooth, endless circle that represents the totality of God. 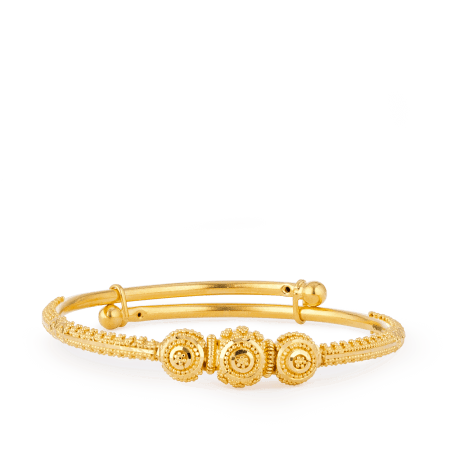 Our 18ct and 22ct gold kada designs are created by the team at PureJewels, inspired by Eastern influences with our trademark modern flair. 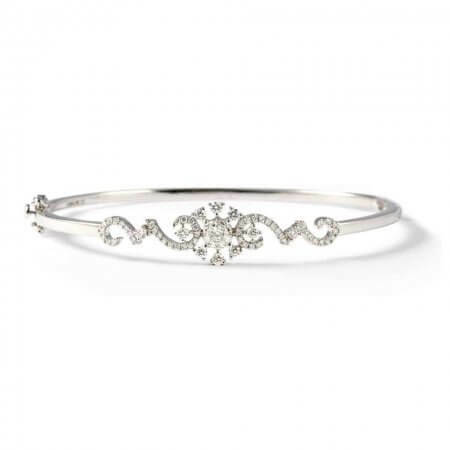 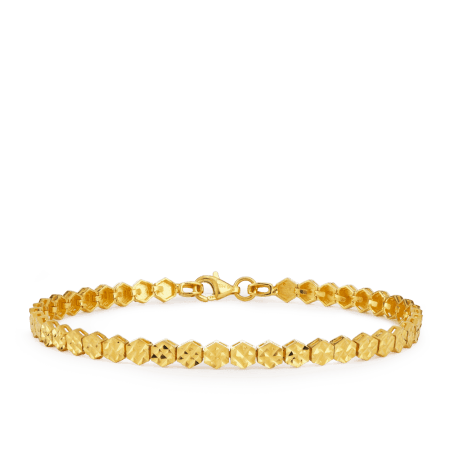 You can choose from a simple, rounded-edge, gold kada design (along the lines of an authentic kada), or a more detailed one – there are white gold kada designs too. 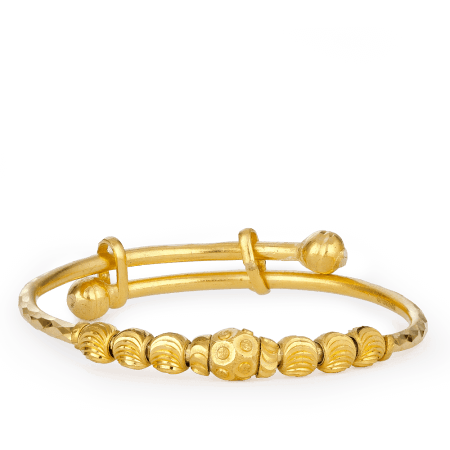 You’ll notice that the descriptions of our gold kada designs include weight, so you can see how much gold you are buying. 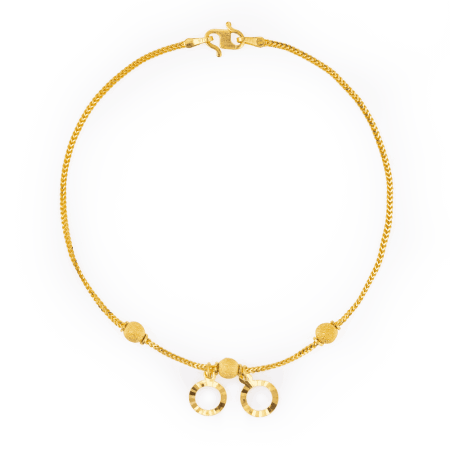 Give your baby the perfect start to their jewellery collection. 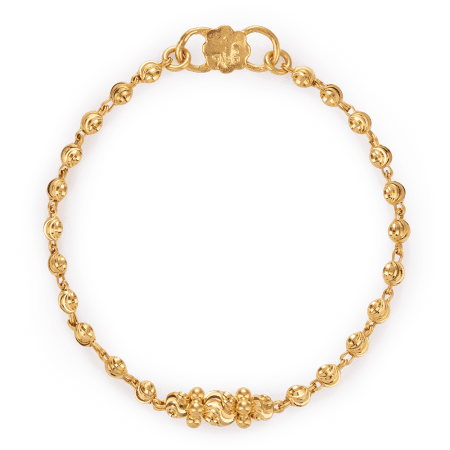 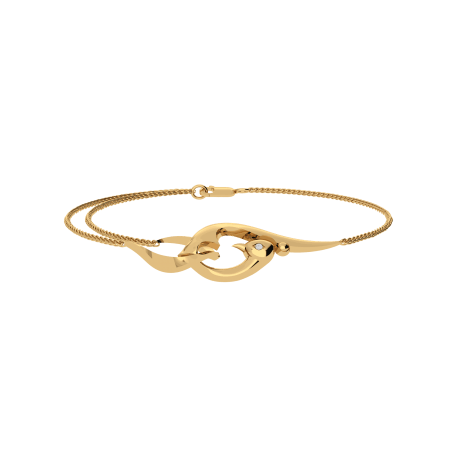 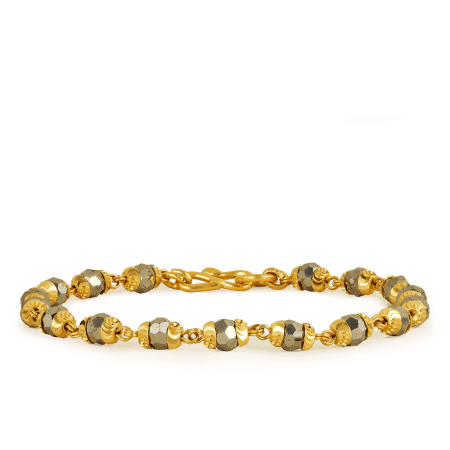 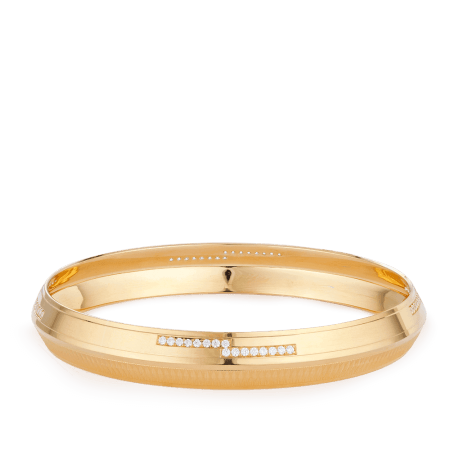 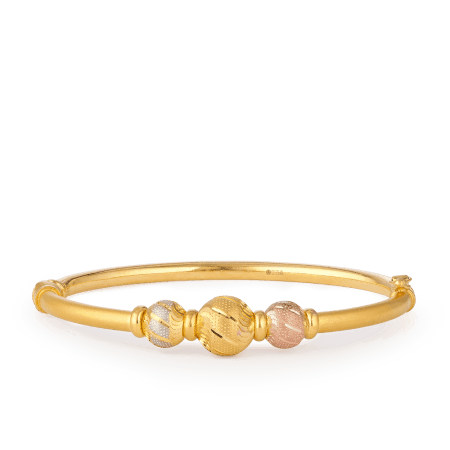 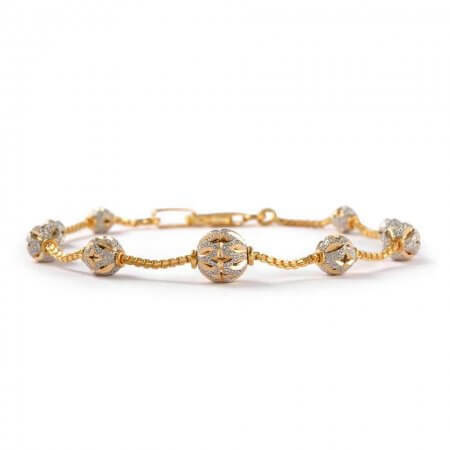 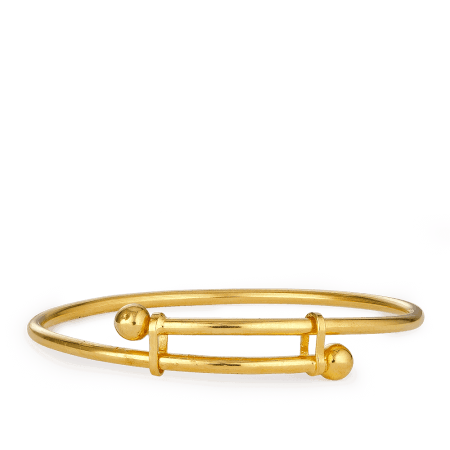 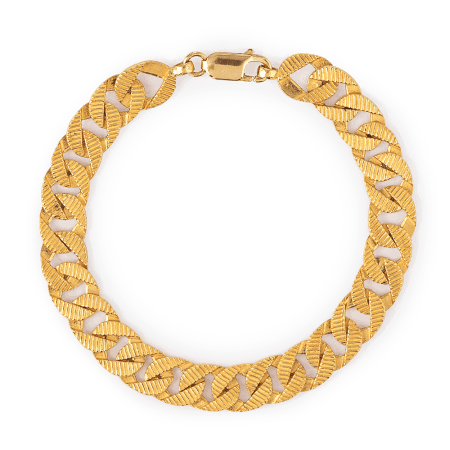 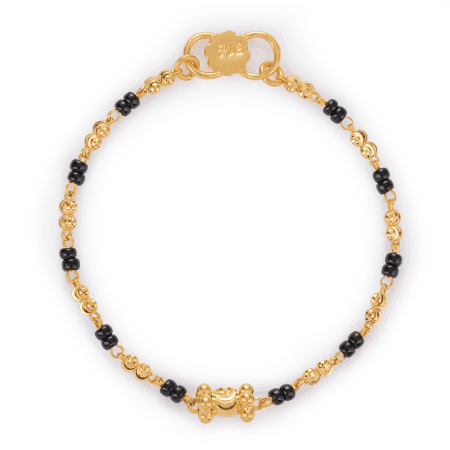 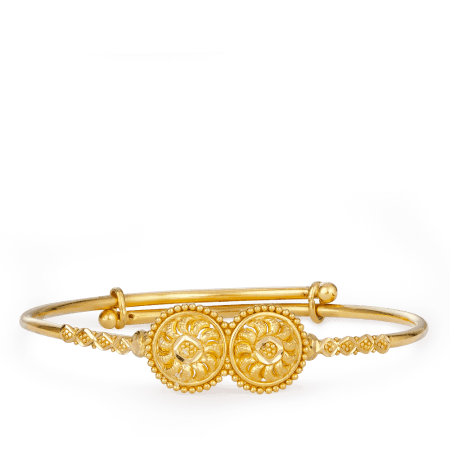 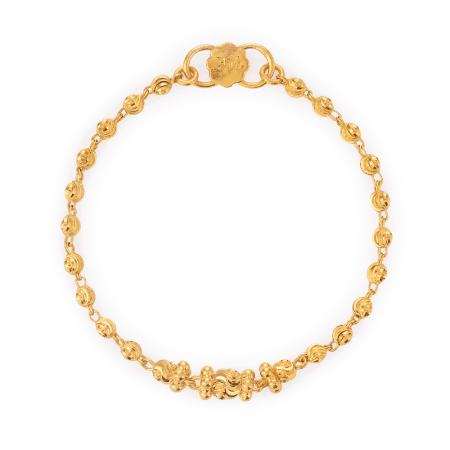 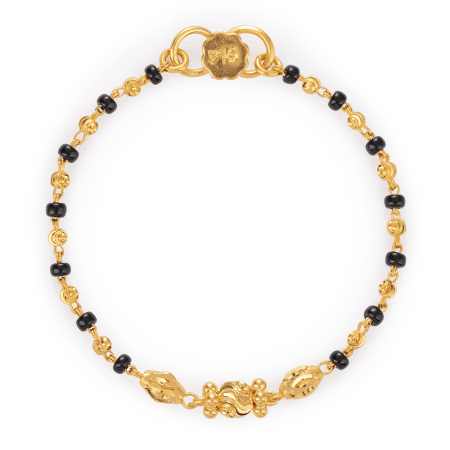 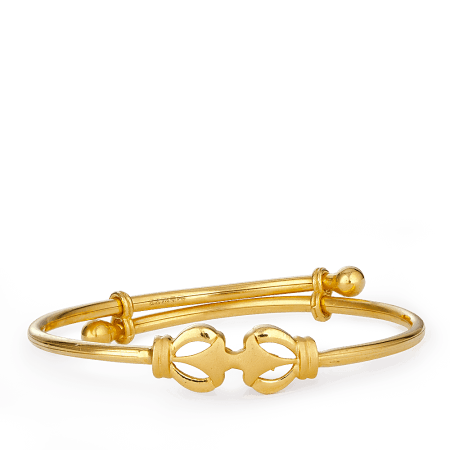 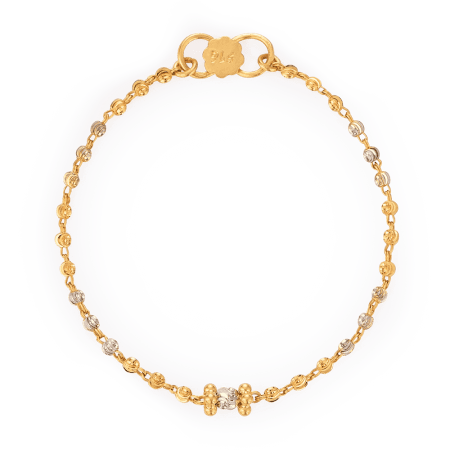 Our baby bracelets are made from fine, 22ct gold in traditional Indian style. 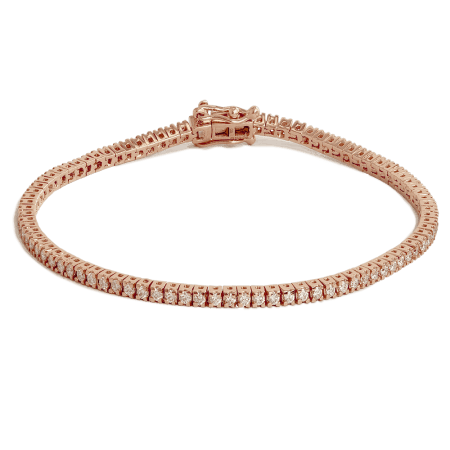 Choose a signature baby bracelet or go for a contemporary twist, like the Rose Gold baby bracelet, which can be personalised with baby’s name. 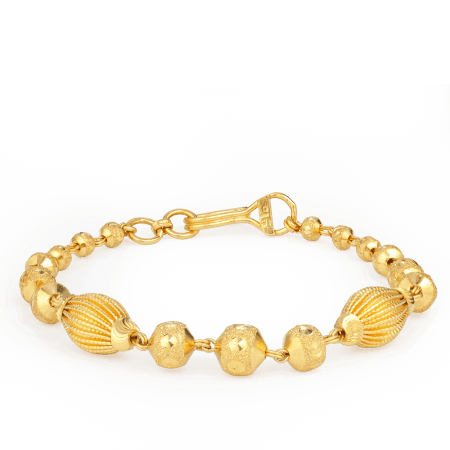 Across the ocean in England, baby bracelets became popular far later – during the Victorian period – when London jewellers began to create bracelets in gold or silver with the word ‘baby’ etched upon them. 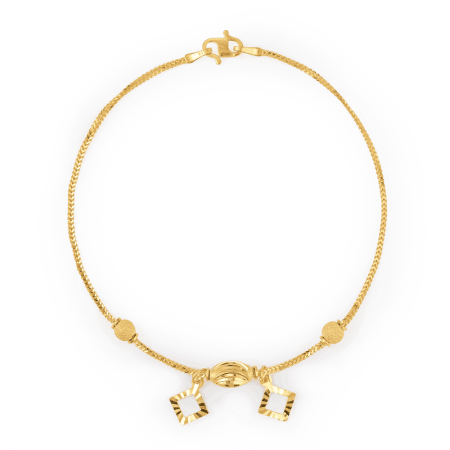 Ever since, personalisation has been an affectionate extra: you’ll find personalised baby bracelets here, which can be made to order once the baby has a given name. 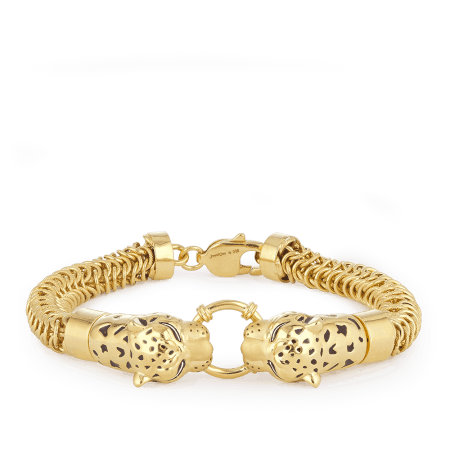 Our baby bracelets are classic in style, befitting the ancient roots of the tradition. 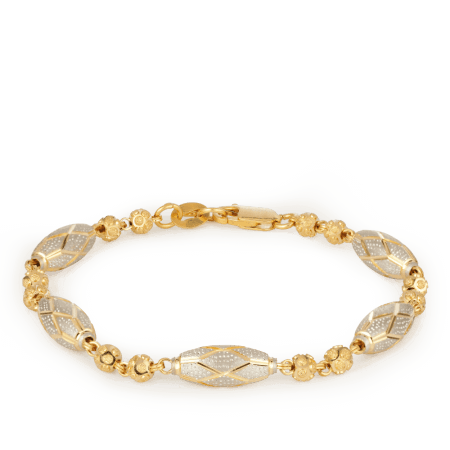 You can buy a baby bracelet in 9ct gold or even silver but, for us, it had to be the best. 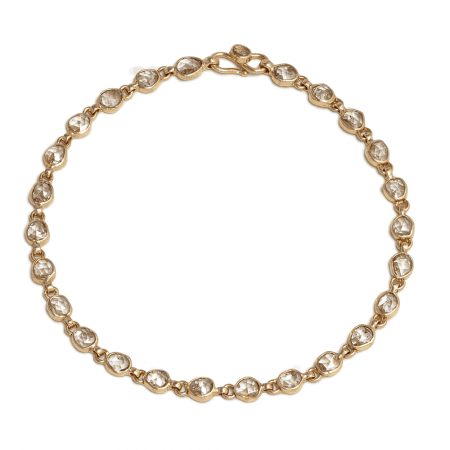 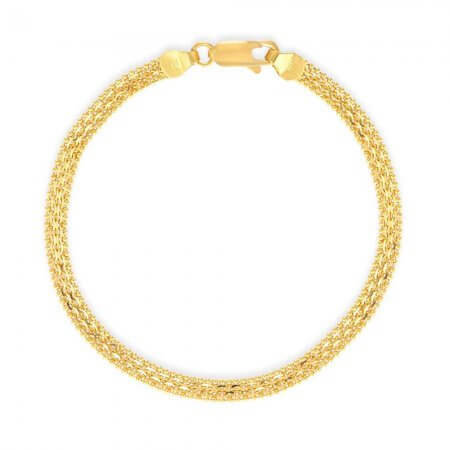 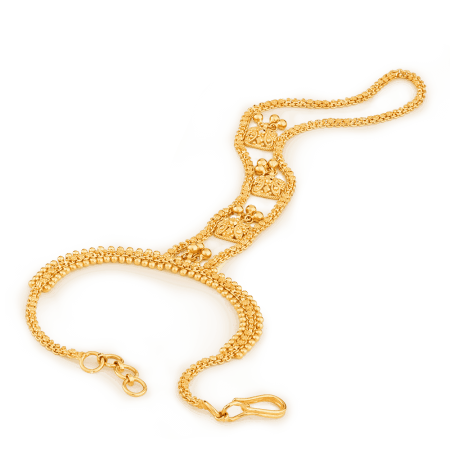 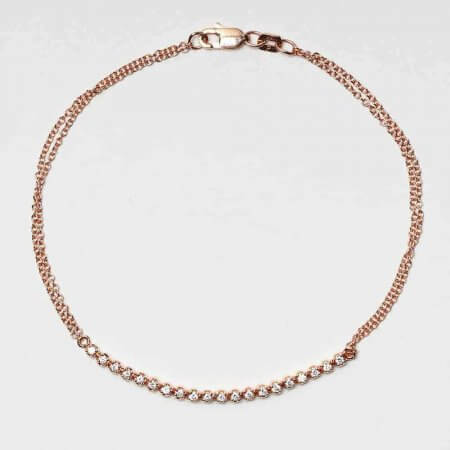 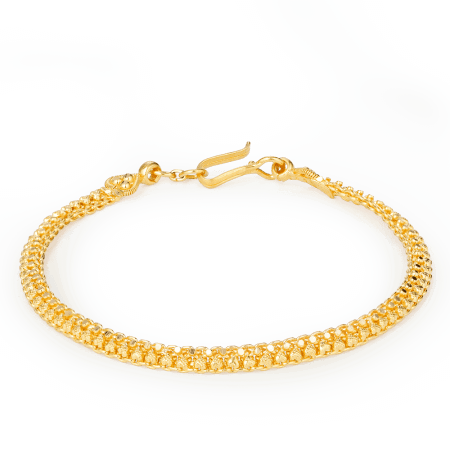 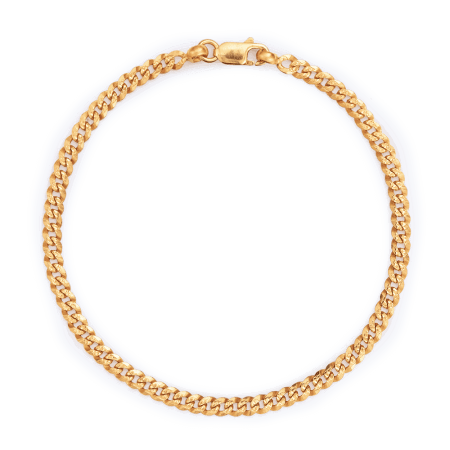 We chose 22ct gold for our baby bracelets, which is the finest weight of gold suitable for jewellery. 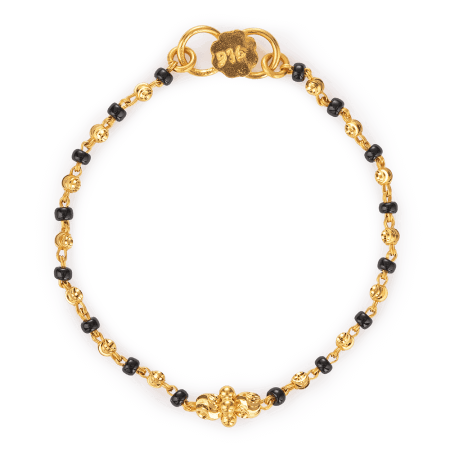 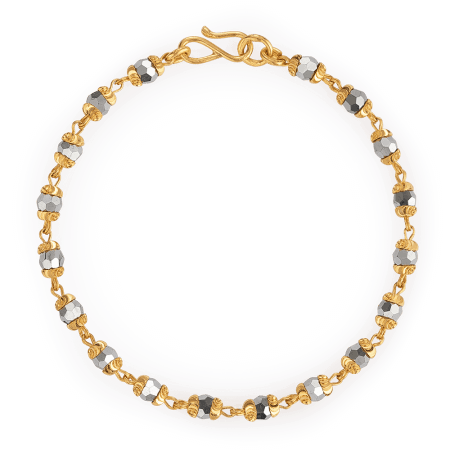 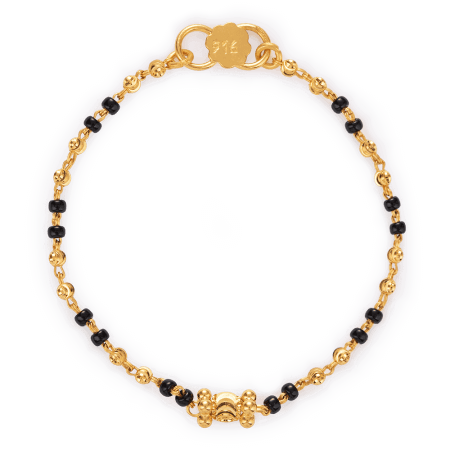 The glossy gold is complemented by design details like rhodium plating, ridged beads, and traditional jet black beads. 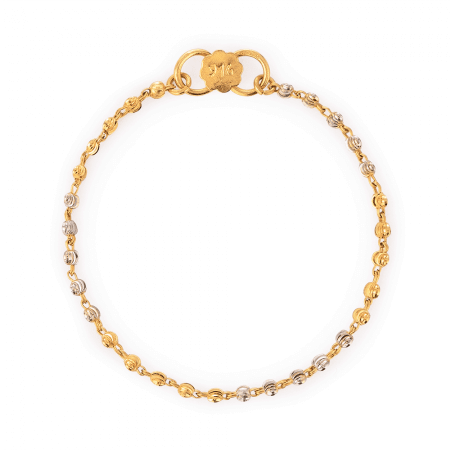 Baby bracelets comprise the child’s earliest jewellery collection, and may be passed down – so we’ve opted for a timeless design that will age gracefully. 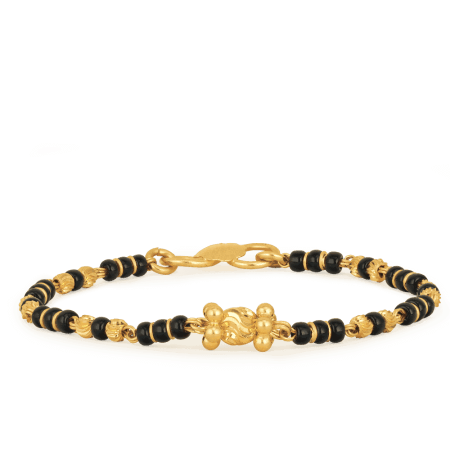 The presence of black beads is a nod to the old tradition of fending off evil. 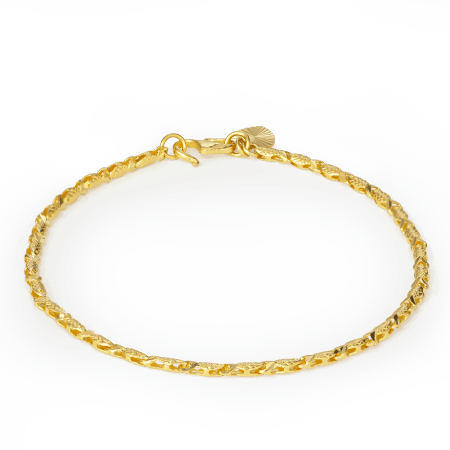 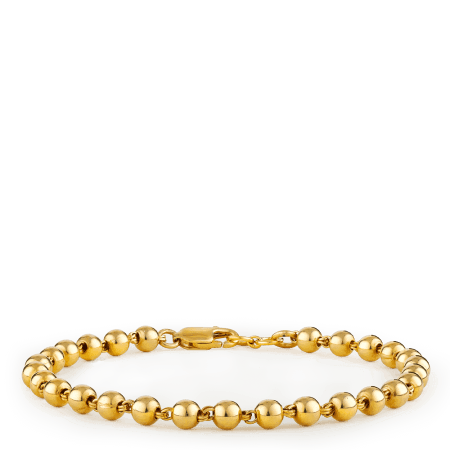 Our fair prices mean that you can buy a baby bracelet in 22ct gold for as little as £150. 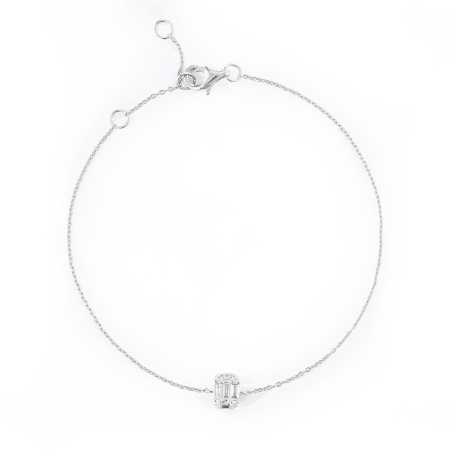 It makes a beautiful gift for a new baby, presented in a signature PureJewels box. 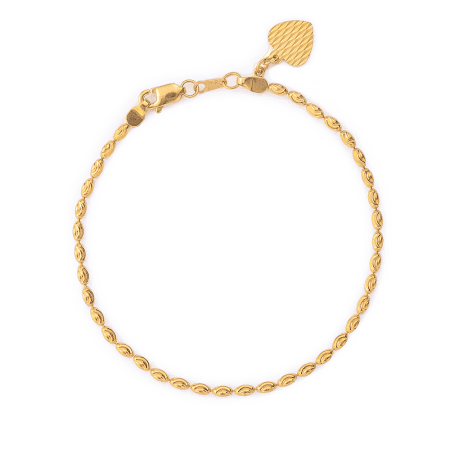 If you’d like to come into store, you’re very welcome to make an appointment with us and view the baby bracelets in person. 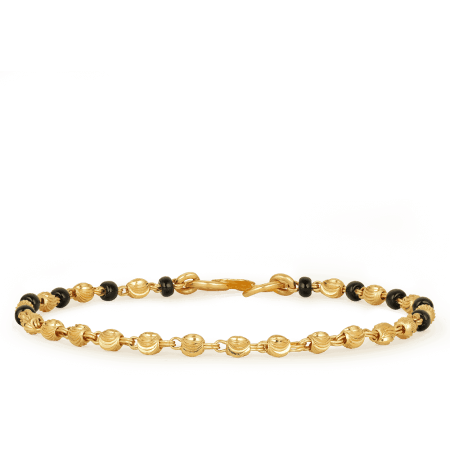 The Night & Day baby bracelet features glossy, midnight beads to contrast against the 22ct gold. 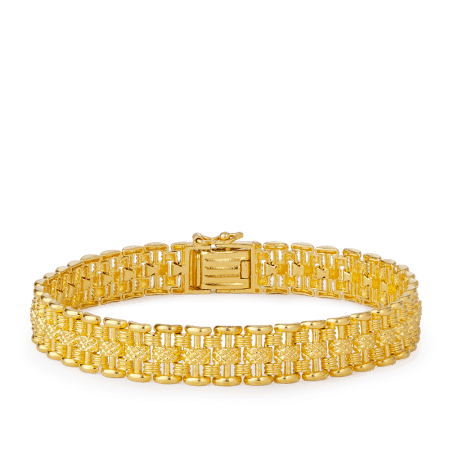 It’s the starter point of the collection but the detailed goldwork and miniature sunbursts give it a luxurious finish. 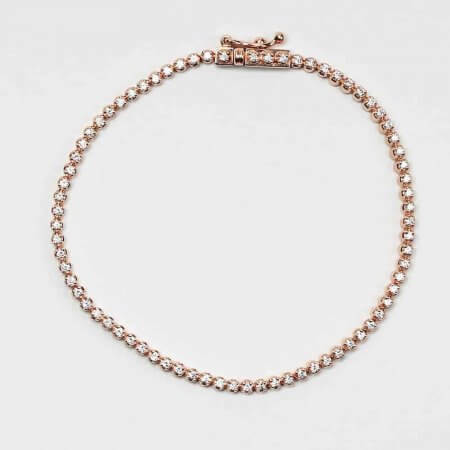 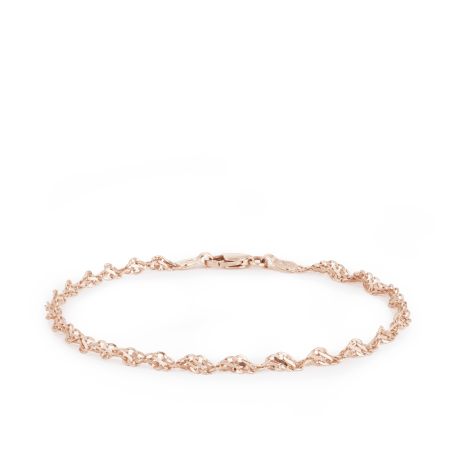 Our rose gold baby bracelet is personalised with the baby’s name, and not just engraved, but cut from gold. 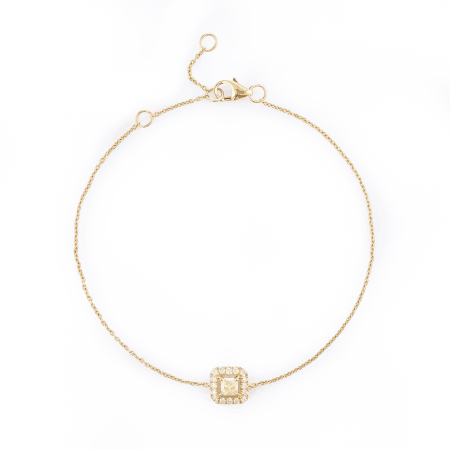 Instead of a name, you might choose a meaningful word or ancient message. 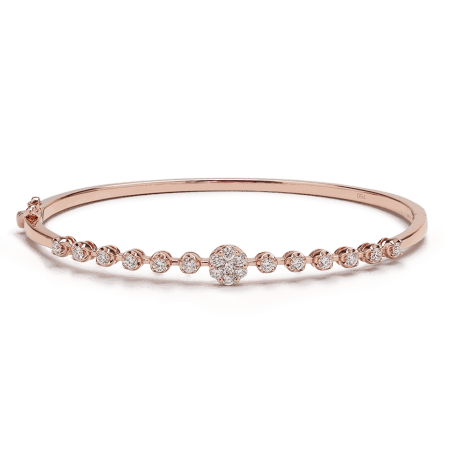 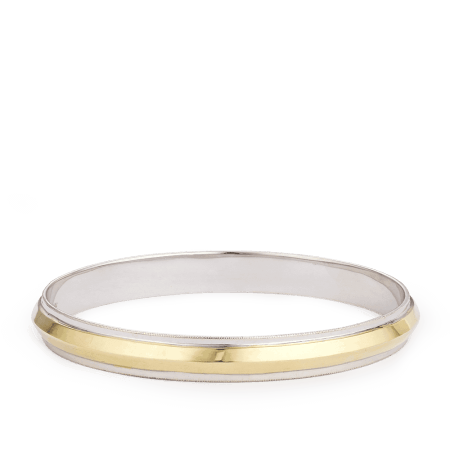 It’s a really special piece, made in warm and sophisticated 18ct rose gold: truly heartfelt and unforgettable. 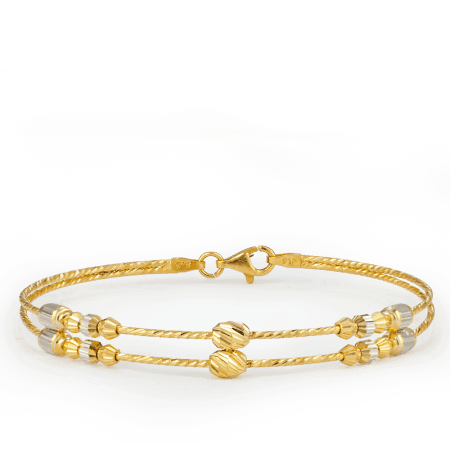 A later addition to the collection, the Twilight baby bracelet features tonal beads… for the chic and stylish family. 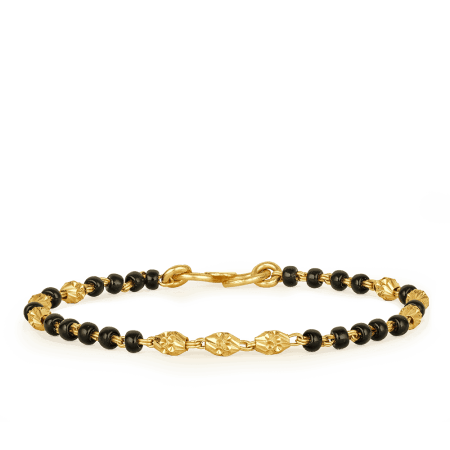 Go dark with the Midnight baby bracelet, in deeper tones for more contrast. 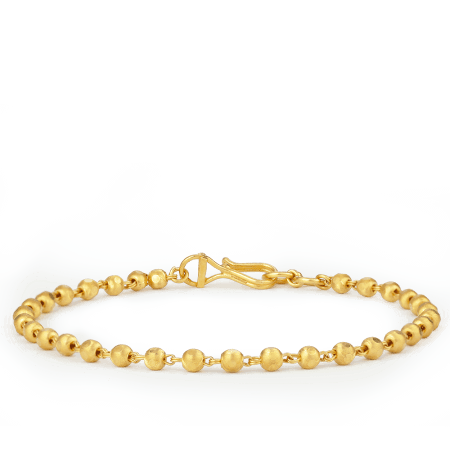 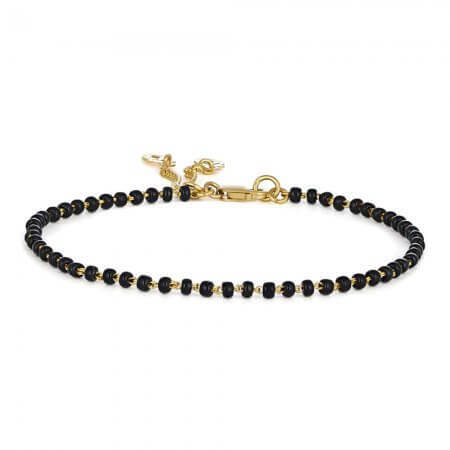 The Sunrise baby bracelet is a minimal design with more gold, and just a sparse handful of black beads, for a simpler, elegant finish. 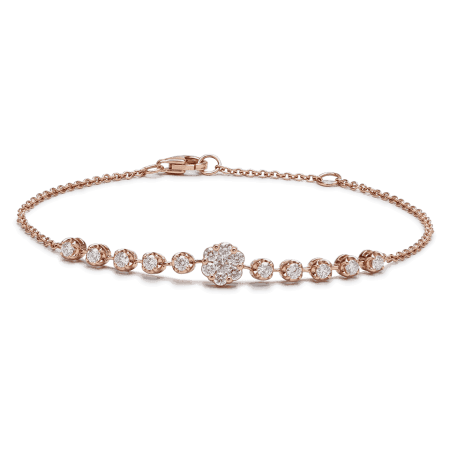 This extra-sparkly Sunburst baby bracelet features ridged beads and rhodium plating to create an unusually twinkly effect! 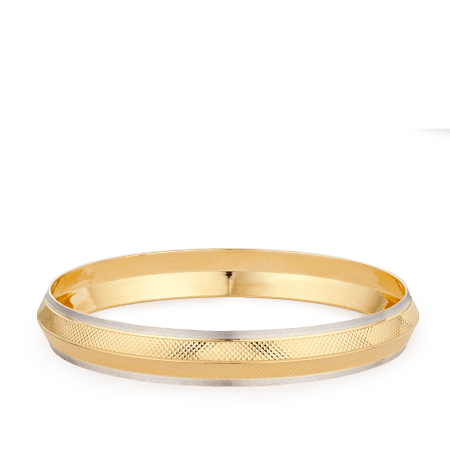 For more personal advice, try our Live Chat facility, or call our store to make an appointment. 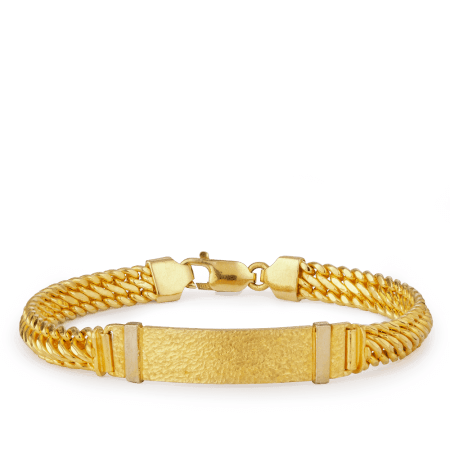 If the bracelet you’d like is out of stock then please send us a message – we can order another and confirm the lead time with you. 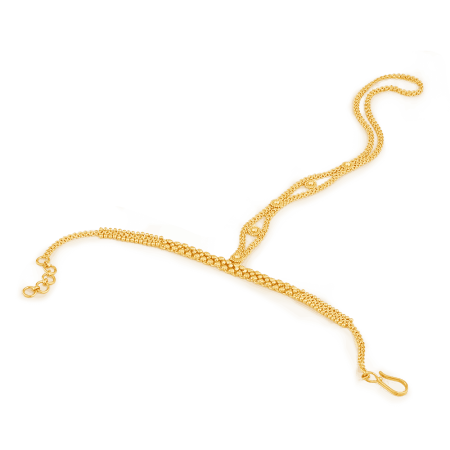 If you’re looking for something different to what’s online, please call for an appointment. 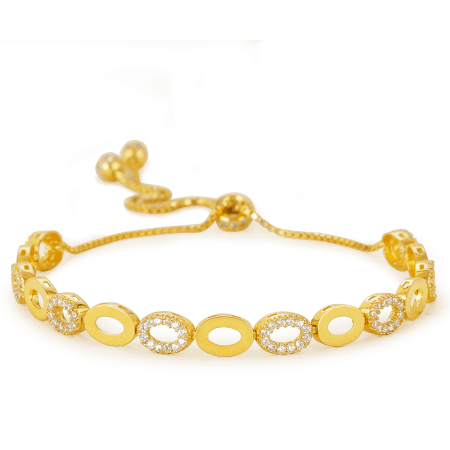 PureJewels is an established family jeweller. 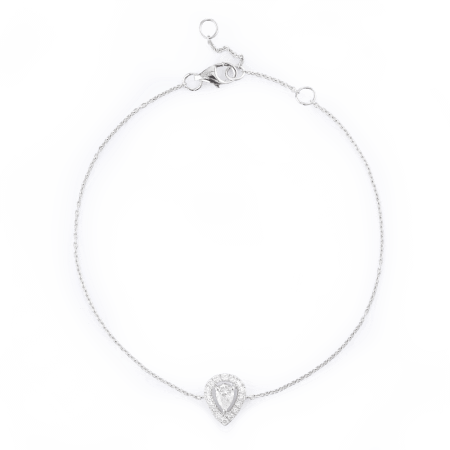 We are accustomed to special requests and commissions and we are trusted by many families when their jewellery needs repair. 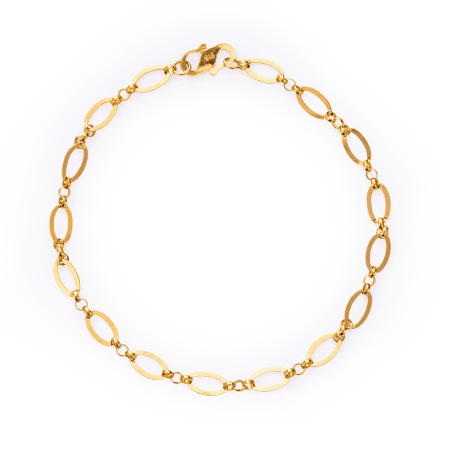 If you’d like a child’s bracelet made in a bigger size, or you’d like an existing baby bracelet to be adapted or resized, come into the store and talk to us. 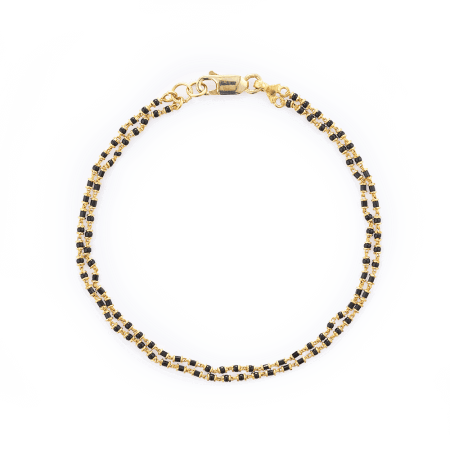 We can create unique pieces of jewellery or make something from the collection in the right size.